What occurred to me as I watched the most recent trailer for one of them is that while the overall message is very similar between the two, there’s a big difference in how that formula plays out based on the genders of the leads. 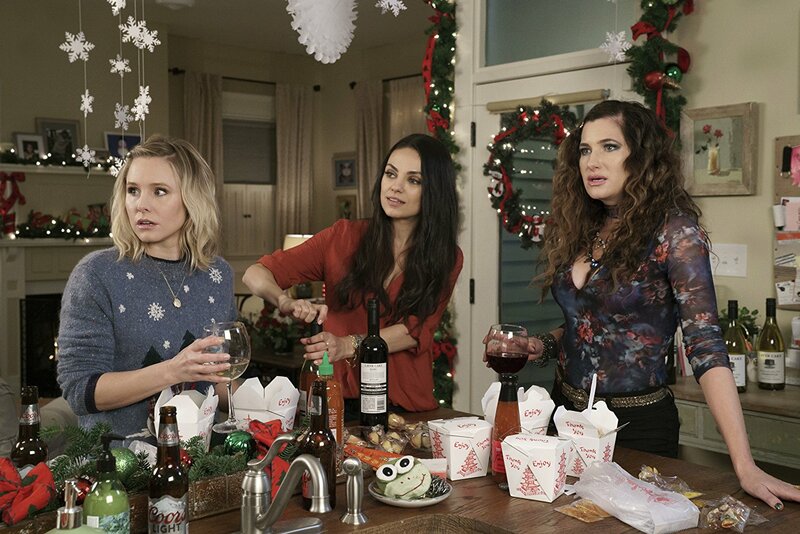 In the marketing of A Bad Moms Christmas, we see how Amy (Mila Kunis), Kiki (Kristen Bell) and Carla (Kathryn Hahn) deal with the arrival of their mothers by retreating as a unit. Amy’s mom doesn’t understand why she wouldn’t want to go all out at the holidays, even if it means being miserable herself. Kiki’s mom is clingy and thinks she and her daughter are more peers than anything, smothering her with attention. Carla’s mom is just a wild and irresponsible spirit who she tires of quickly. So the trailers show how the three friends take off as a group, checking out from the mayhem of the season and avoiding the judgment and passive-aggressive commentary of their mothers. They go drinking and shopping and indulge in a bit of selfish fun. They bond and find strength in a group of supportive friends. 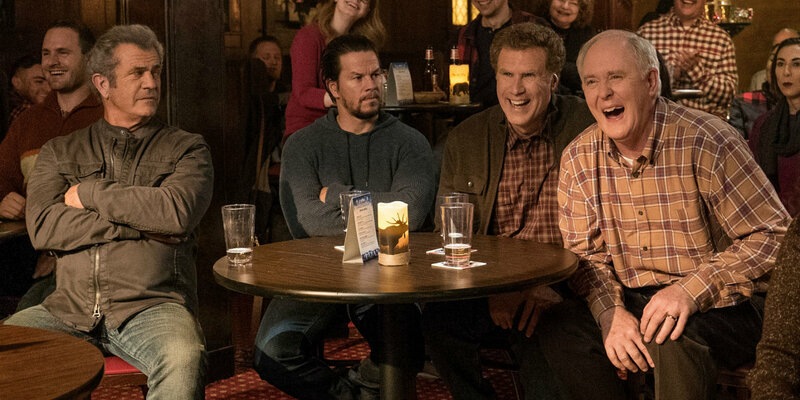 By the time the first movie ended, Dusty (Mark Wahlberg) and Brad (Will Ferrell) had learned to accept each other in their unusual family situation. That seems to be where Daddy’s Home 2 picks up as they prepare for Christmas as an extended group. Joining them and complicating the situation are both men’s fathers. Brad’s is just as goofy and overly-emotional as he is while Dusty’s dad is another alpha male with chiseled good looks, flawless style and an aura of pure testosterone. The presence of these two fathers has the effect of rekindling the rivalry between Brad and Dusty. Brad can’t help who he is while Dusty wants to impress his father, dismissing Brad’s more humanistic approach in favor of confrontational solutions to the problem, dismissal of emotions and so on. It’s all dead butch. Gender Stereotypes Help Sell Movies? For as much as society has shifted toward a perspective where gender roles are largely unfortunate holdovers from less enlightened times, it seems they’re still welcome and active in the selling of mainstream comedies. Not only does the arrival of parental figures bring out behavior that’s stereotypical of each gender, but any behavior that runs counter to that is played for laughs. In Moms, Carla’s overt sexualization of the stripper she’s crushing on is meant to be funny because women acting like that is just not normal. In Home, Brad’s more feminine approach to problem-solving and teaching life skills are meant to be mocked because it’s so…girly…not nearly the masculine ideal displayed by Dusty and his father. All that was considered not only fine but desirable when it came time to put together the pitch to the audience to see both movies. Even if the movies themselves offer slightly different or more nuanced takes (not likely based on all available evidence), that was deemed the strongest marketing approach. Maybe we haven’t evolved as much as we like to think we have in our thinking. At the very least, there’s a percentage of the audience that’s seen as significant enough that taking these approaches gives the movies a chance at success. The next time you or someone on TV is railing against the liberal elites in Hollywood who are indoctrinating your children, keep these two examples of very conservative, old-fashioned mindsets in mind.